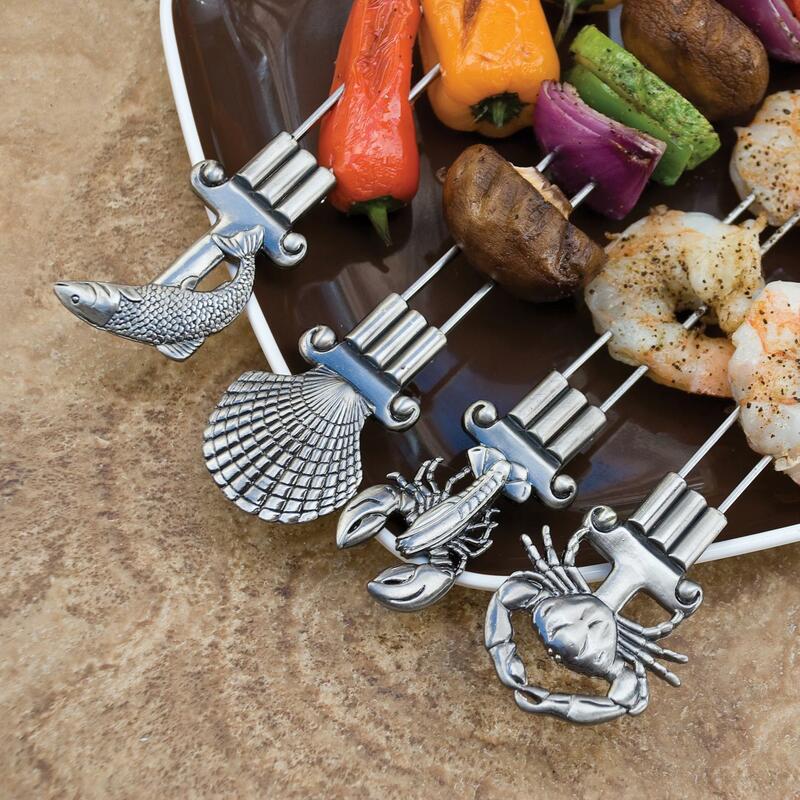 Product Description: 11-Inch Stainless Steel Skewer Station - Set Of 6. 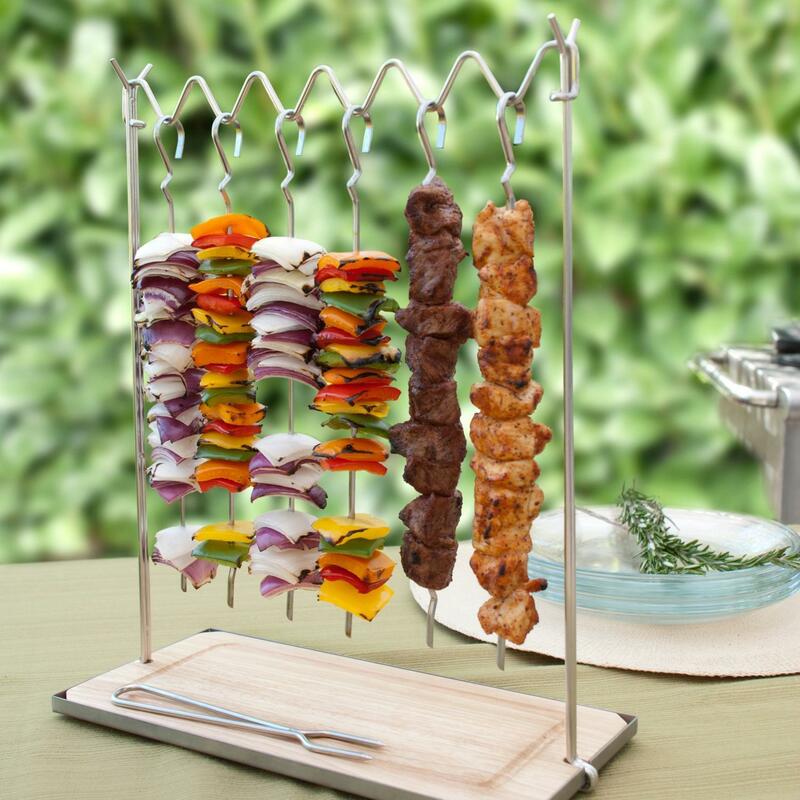 Present your grilled skewers in a dramatic fashion with this Stainless Steel Skewer Station. 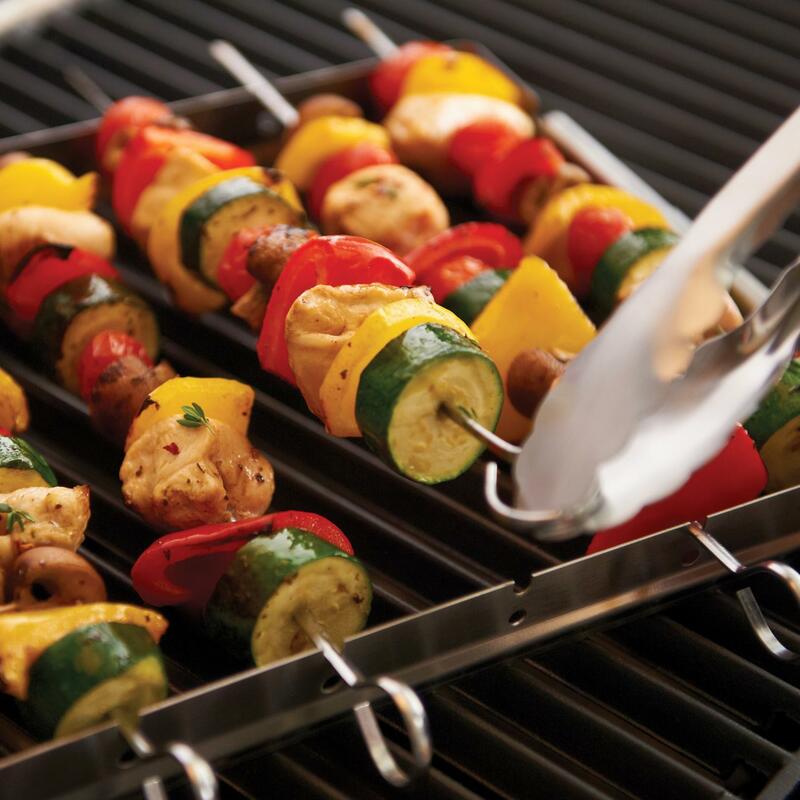 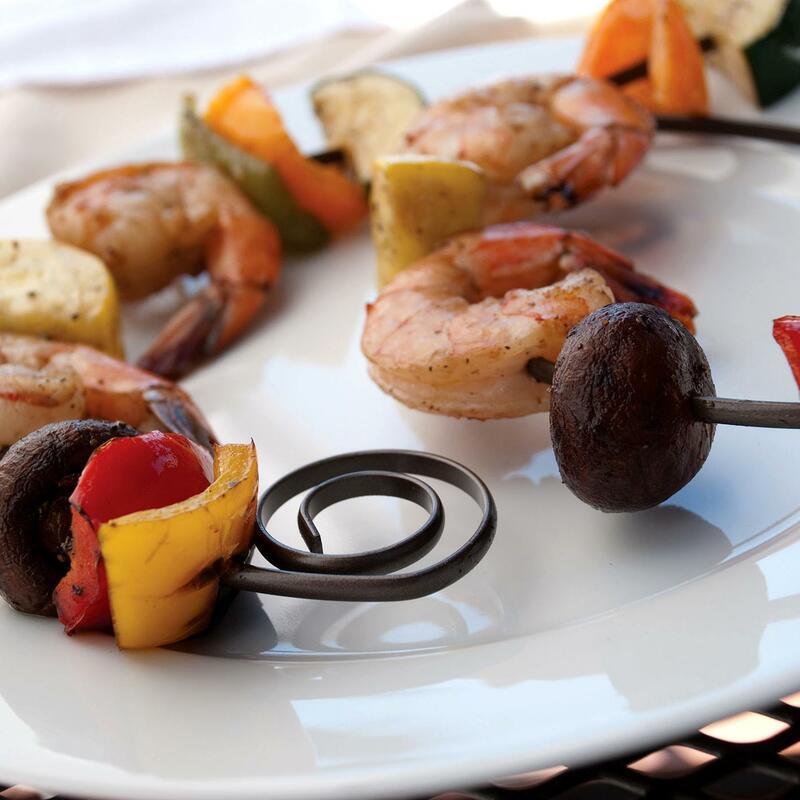 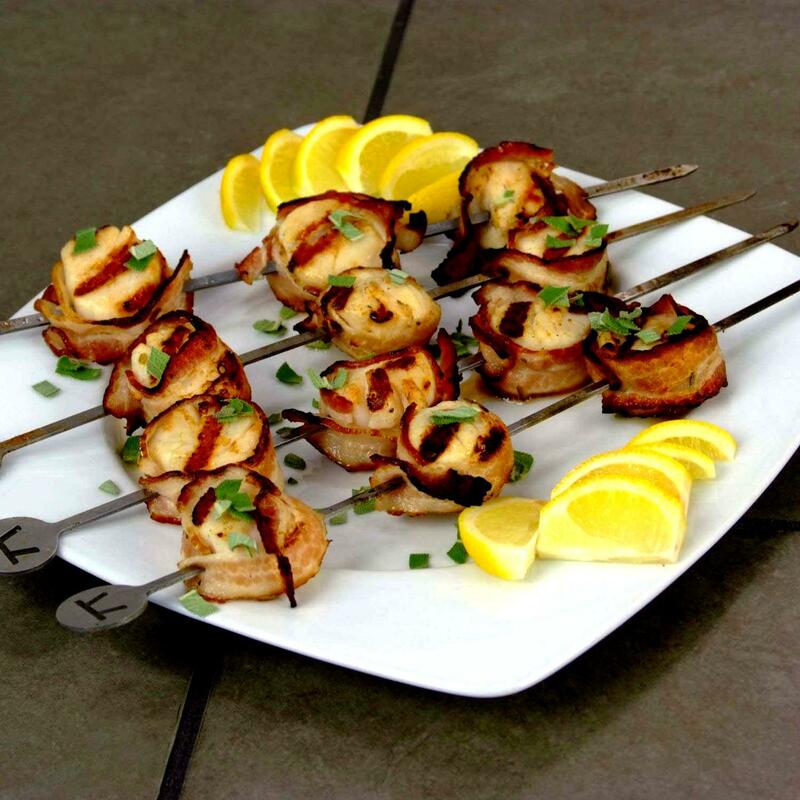 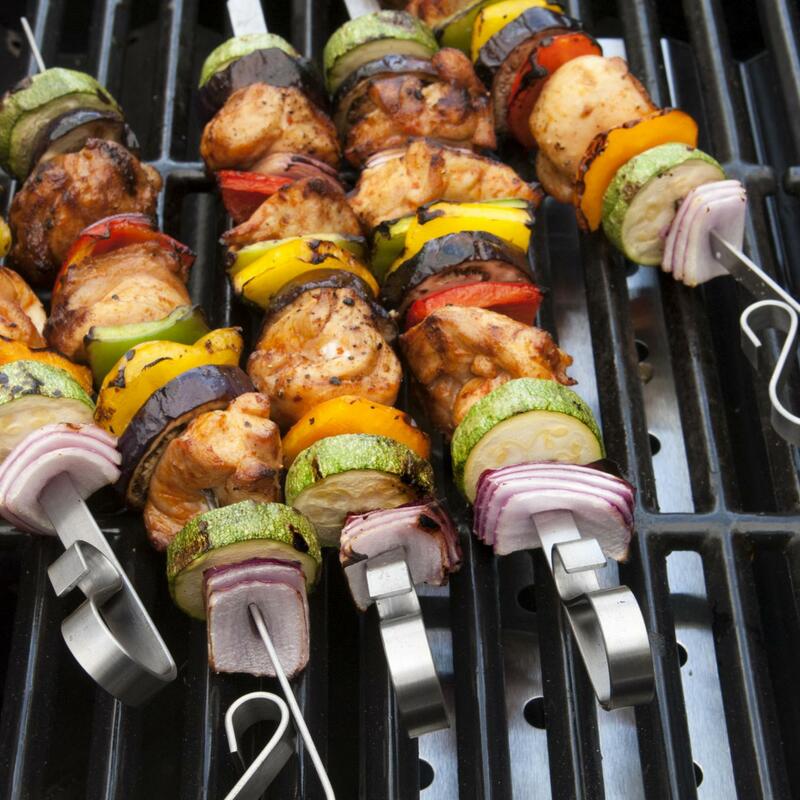 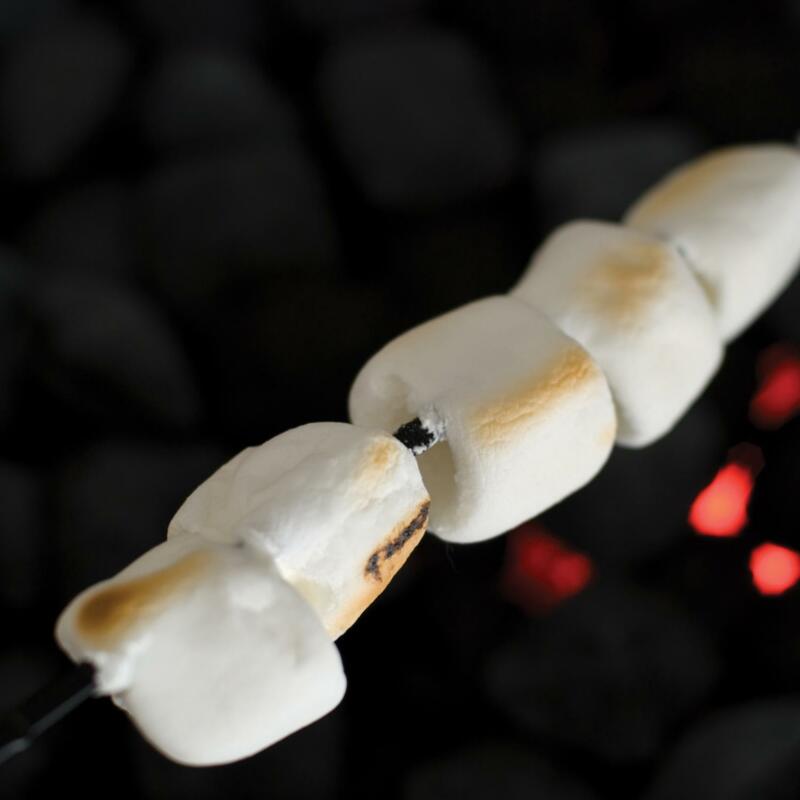 Allow your guests to personalize their entrees by choosing what they want from your array of single ingredient skewers. 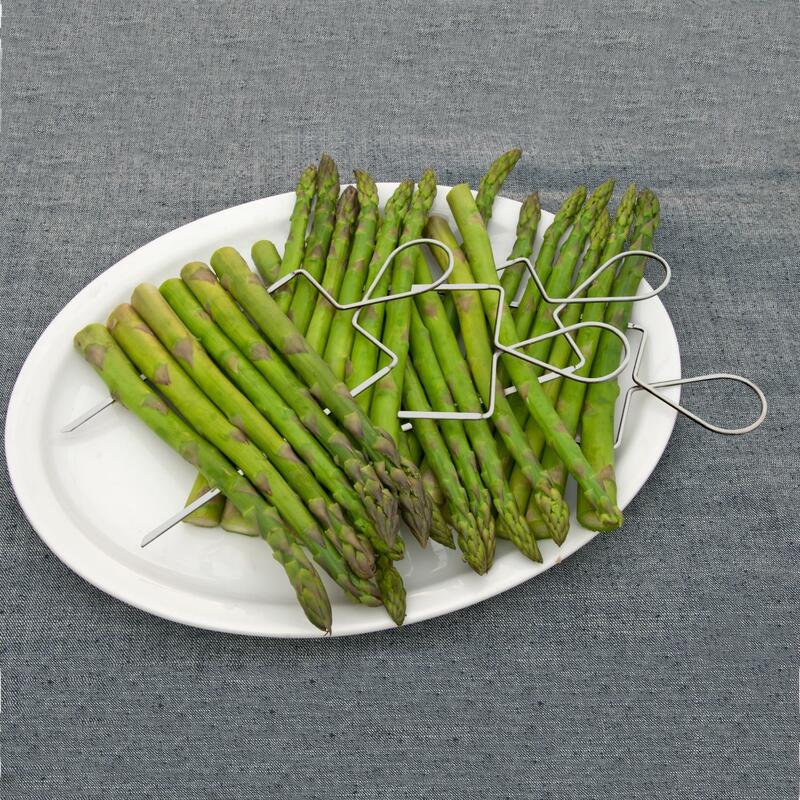 Serving is simple by pushing the meat or vegetables down from skewers with the provided stainless steel fork onto a plate held underneath. 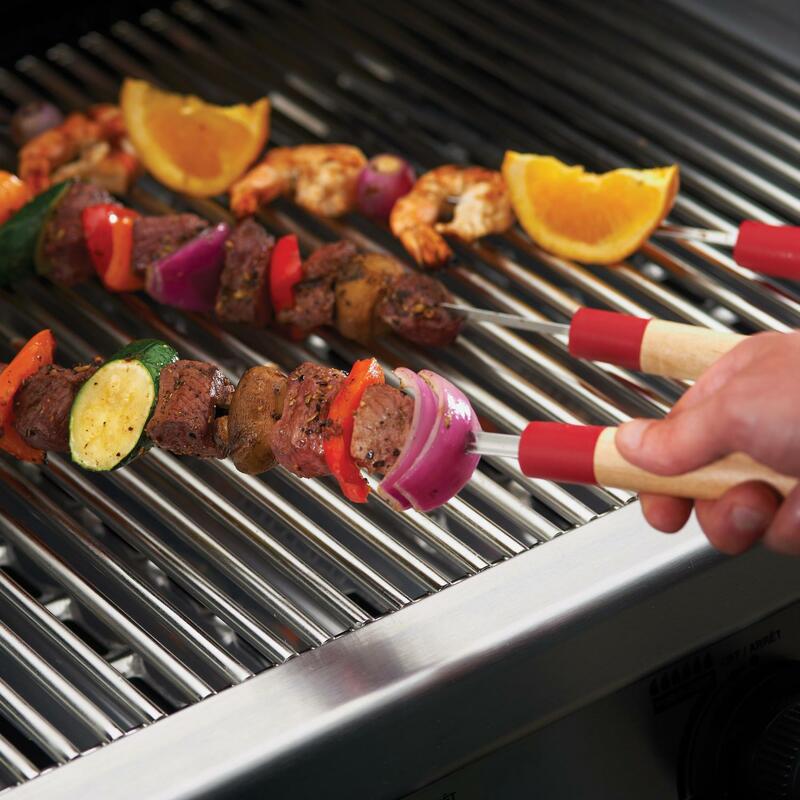 The wooden tray has grooves to prevent juices from spilling onto the table. 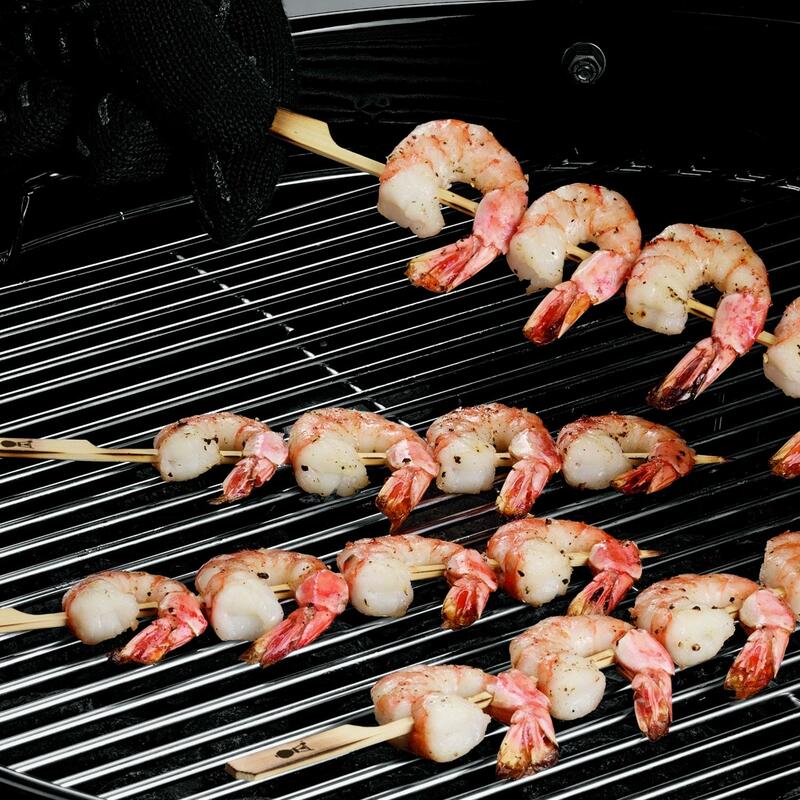 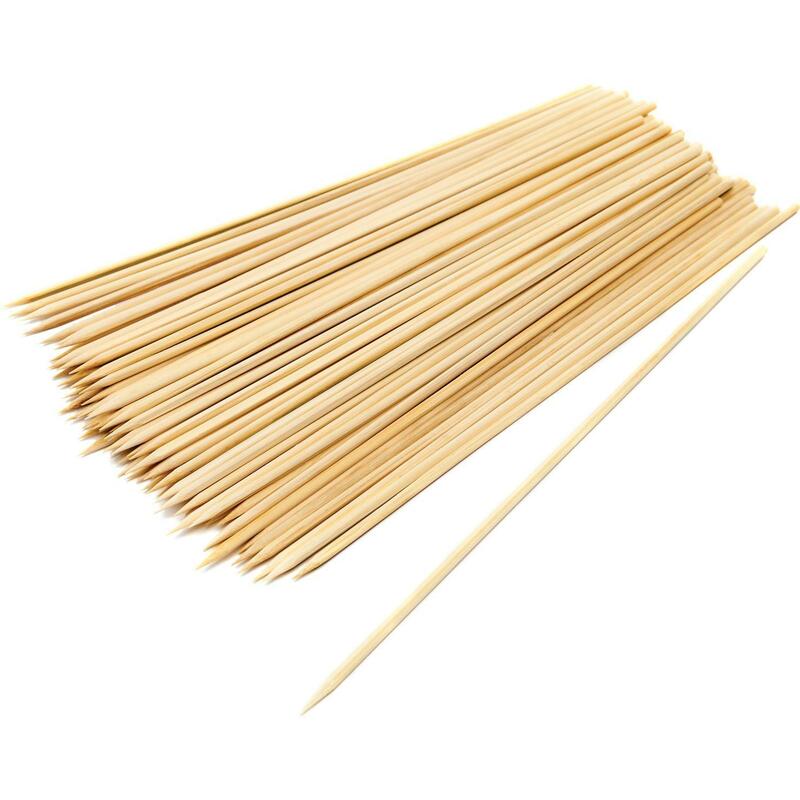 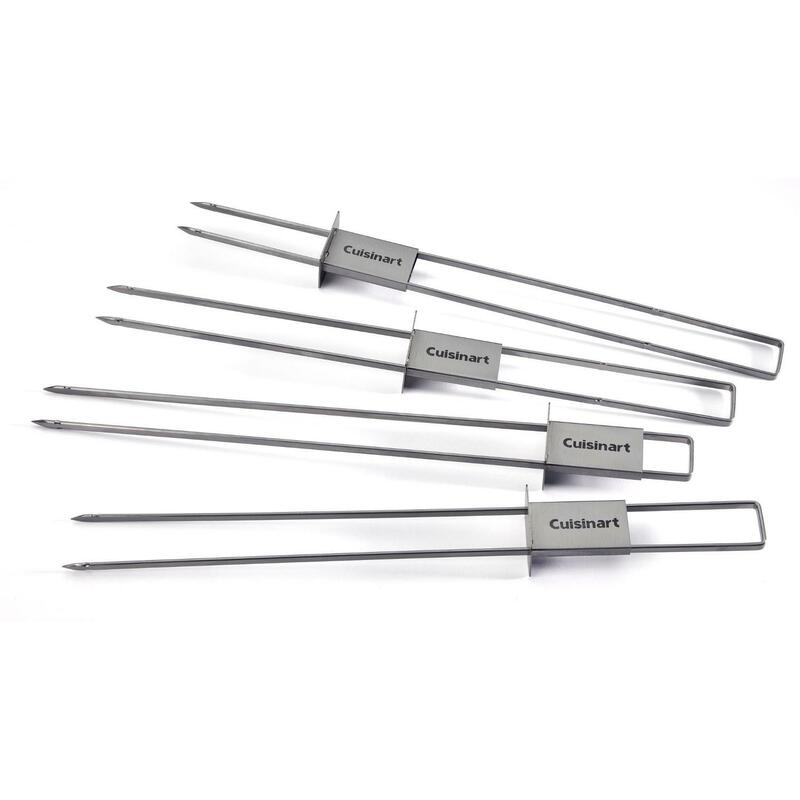 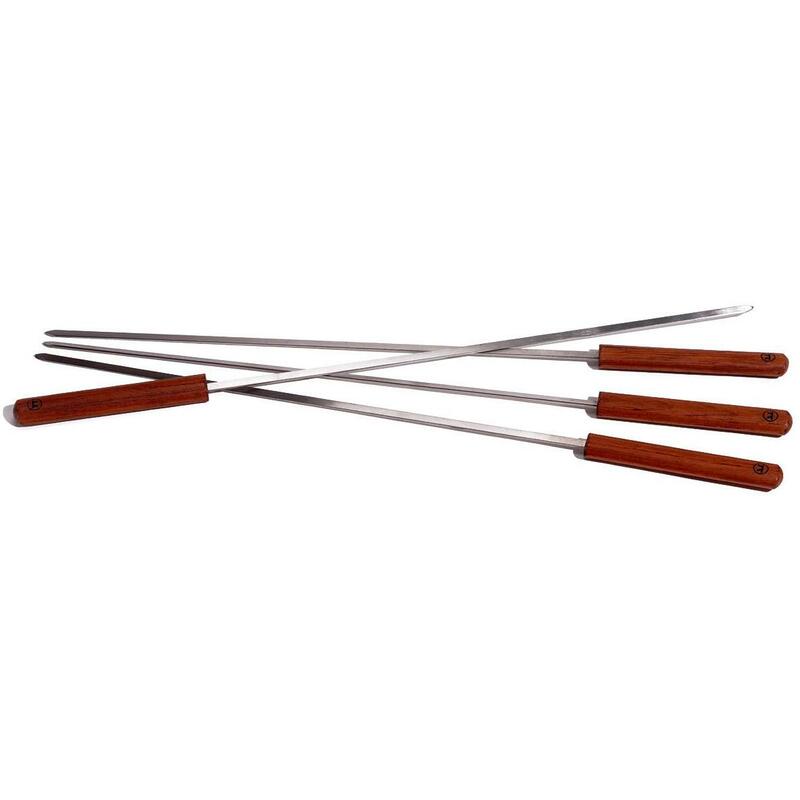 Set includes six (6) skewers measuring 11 1/2 inches, two (2) forks, a stand and the base. 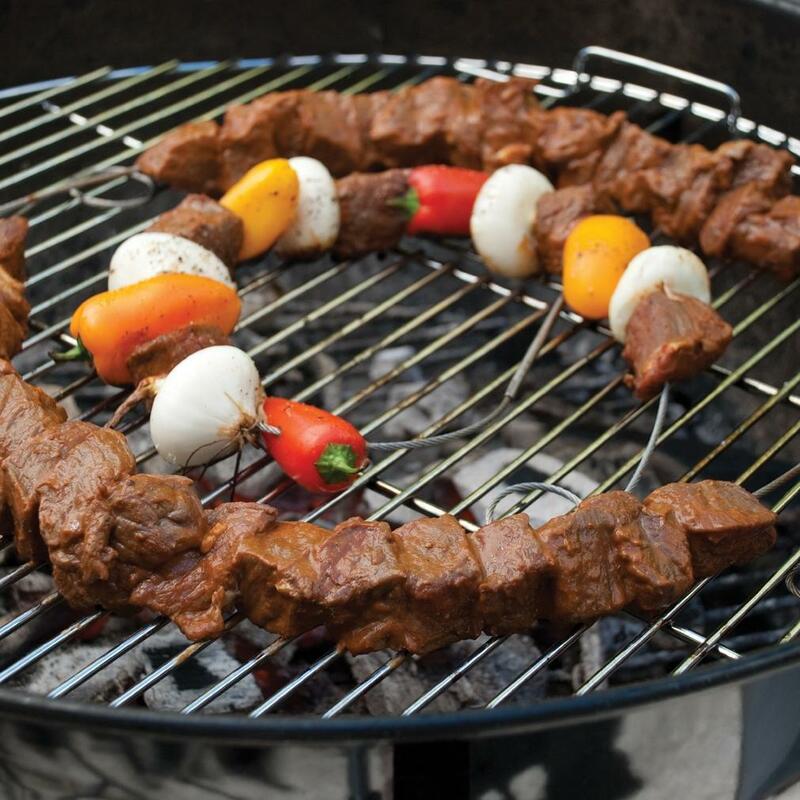 Overall assembled height is 15 1/4 inches.